Homeowners that have septic systems installed in their homes know that the septic drain field is a major component of the system. If there is ever an indication there is a problem with the septic drain field, repairs need to happen quickly. Clogged drain fields can cause several problems; sewer back up into the home, foul smells in the drain field area, and pooling of sewer water on the yard. If you are looking for a reliable company for leach field repair, we can help. 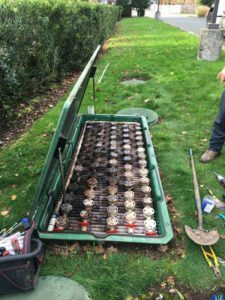 You can trust our skilled and trained technicians as they know how to install or repair a septic drain field efficiently. 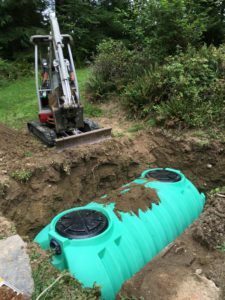 We use the best quality equipment and materials when performing septic drain field installation and repairs. Although drain fields are installed under the ground, they can become damaged due to varying reasons. You must choose the best of the leach field repair companies in the area for clogged drain field repair services. That is us! When you are looking for an experienced company for septic drain field repair you should choose us. With the number of leach field repair companies offering services in Buckley, choosing the best one can be a challenging task. Nevertheless, choosing the best one becomes easy if you research and compare the services of different companies. You can compare our leach field repair costs with that of others. You will find we are extremely competitive and when you add that to our excellent customer service, the choice is obvious. We know how to unclog a leach field and provide drain field aeration. 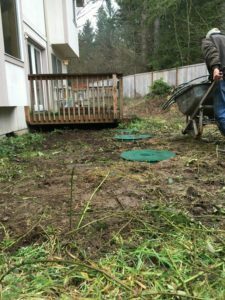 If the septic drain field on your property is not working smoothly and you require leach field repair by the experts serving Buckley, call Vac-Tec LLC at (253) 777-4887.